Fierce lady – Mesh Illusion for all skin tones. 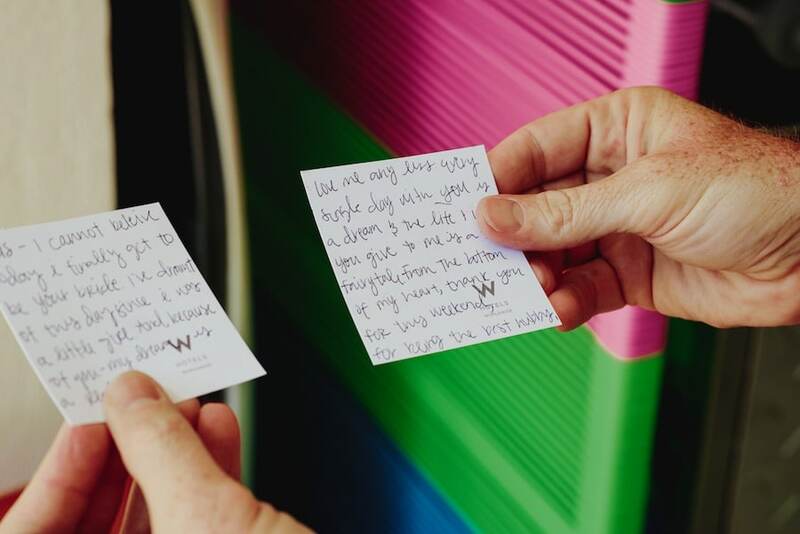 Luis and Courtney’s love story is like no other. They met through a mutual friend in 2012 while she was 23, as Courtney describes, “Luis was not 23! haha, we have a 19 year age gap between us.” Three years after they met, Luis finally won over Courtney’s heart and took her out on their first official date. One year later and the pair were expecting their first child together, their precious little boy Kai. Courtney describes her story as a non-traditional one and one that took her for a turn. “I found out I was pregnant, lost an older brother (33) and was let go from my job all within the next 8 weeks.” – Courtney. Luis however never left her side through the hard times and vowed to only make them better. 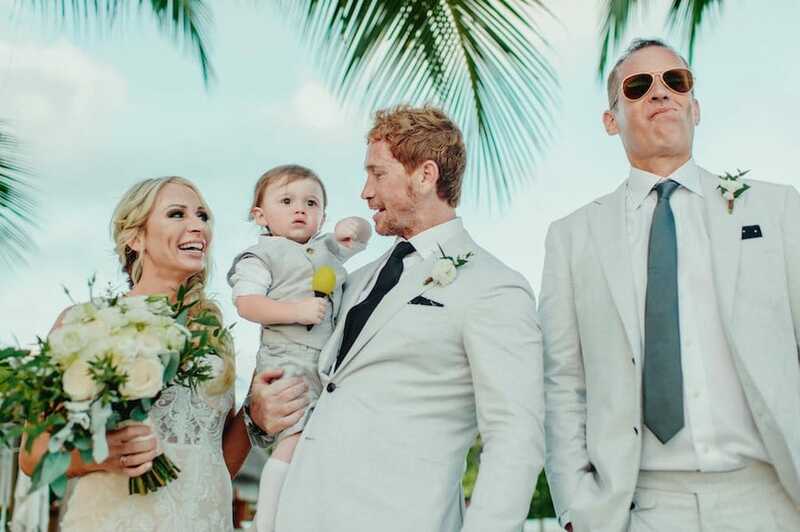 The couple married 8 days later on April 28, 2018! 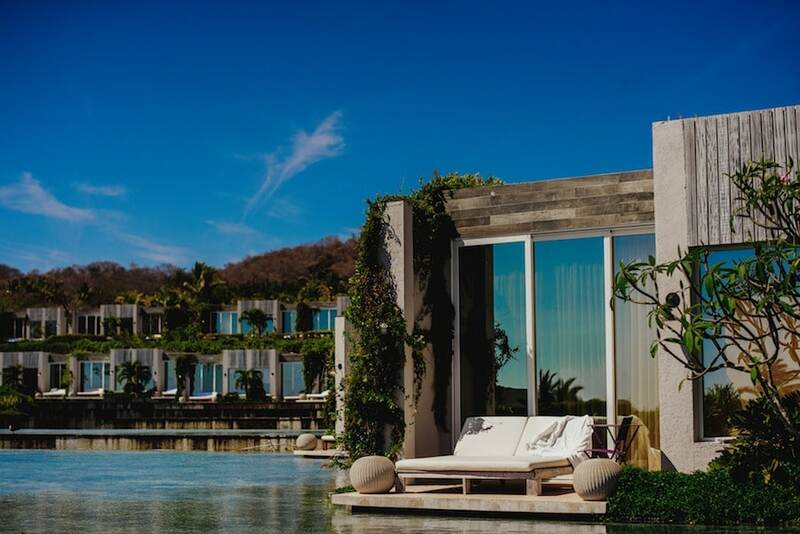 Luis surprised Courtney with her fairytale destination wedding in Punta Mita, Mexico at the W Hotel. 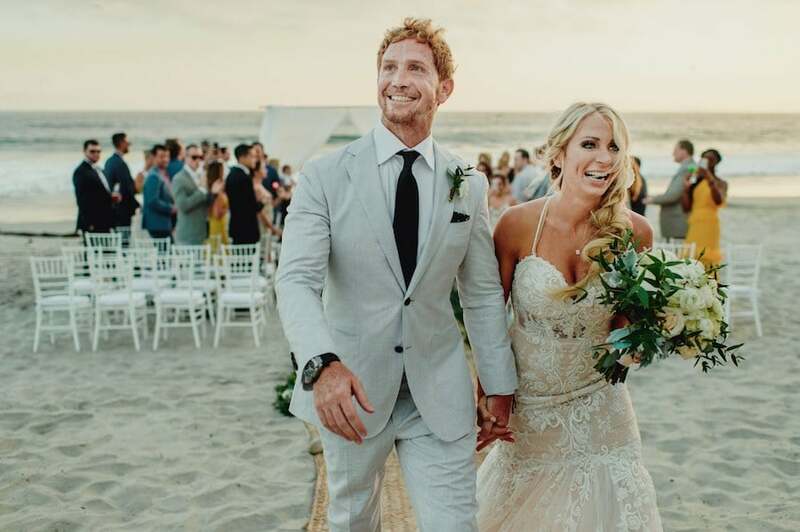 Like every little girl growing up she had her wedding planned to her specifications however after her family experienced sudden tragedy, she never thought this would be possible. 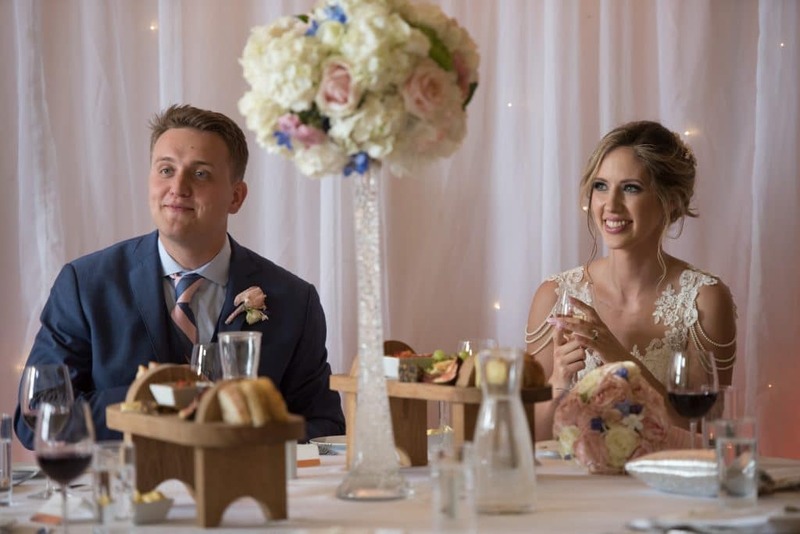 Luis, her knight and shinning armor came to her rescue and took on the great task of helping plan her dream wedding along side with wedding planner Rebeca Magana. 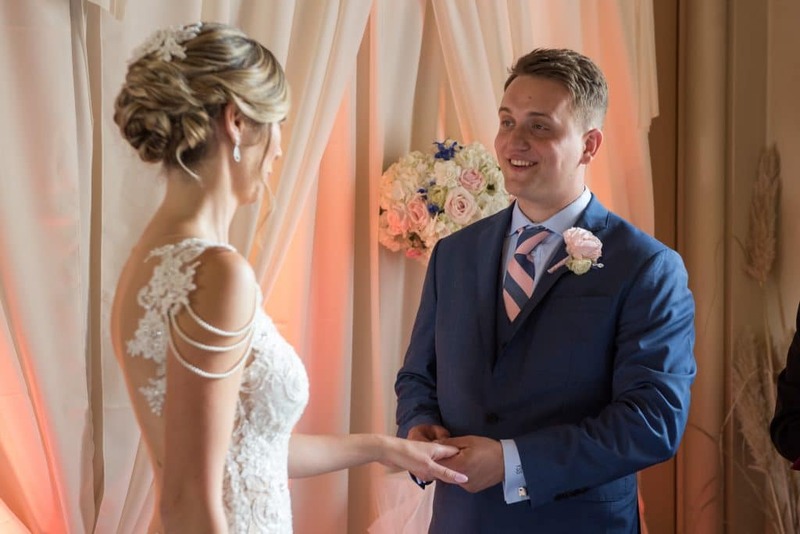 Luis also surprised her with our stunning Glamorous Gown from The Blushing Bride Boutique in in Frisco Texas and the team from Hair Salon Sebastian made sure Courtney looked beyond perfect for her special day. 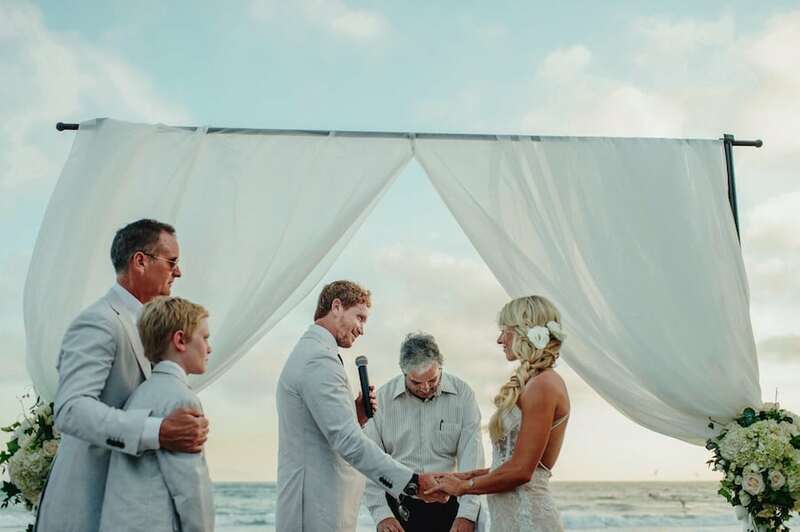 Their wedding was an intimate Oceanside ceremony with the couples closest friends and family. The bright colors of the resort brought pure joy and happiness to all those who attended. Following the couples “I Do’s” guest were treated to a beautiful reception under the stars. 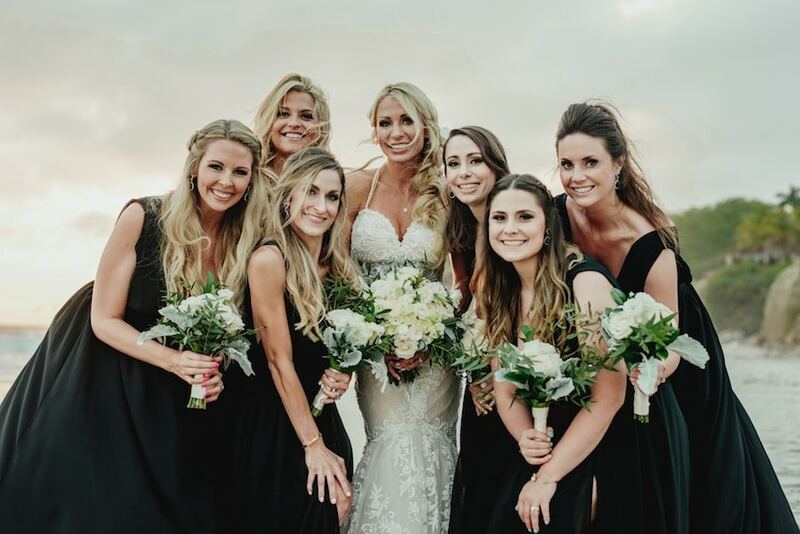 Courtney never wanted her special day to end therefore she is so grateful for Fer Juaristi photography and Ree Love Videos for capturing all the beautiful moments she can now cherish forever! Showcasing our ever so famous Diva Gown from our Work of Art Summer 2017 Collection. Showcasing our ever so famous Diva Gown from our Work of Art Summer 2017 Collection. You will radiate the room with this stunning fitted trumpet style gown that embodies a full-embroidered beaded lace bodice and a dramatic voluminous tulle train. 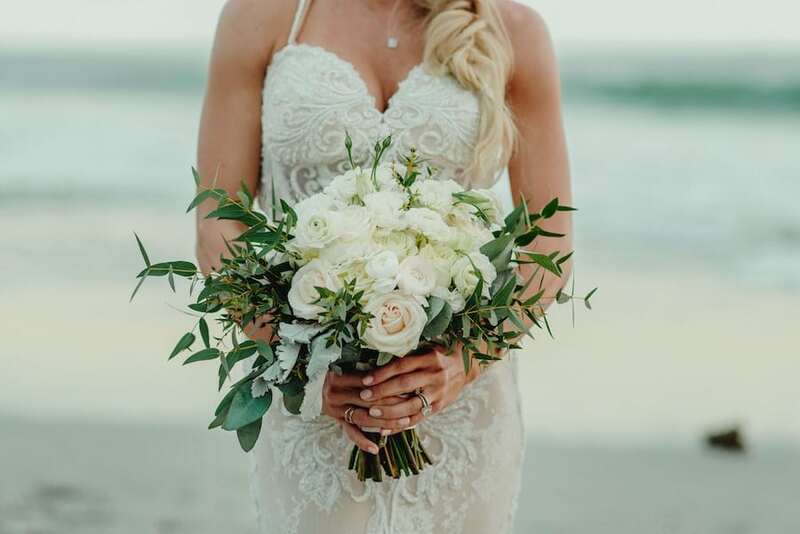 The illusion plunge down the front and sheer illusion cutouts through the sides of the bodice provides a sultry look that pairs perfectly with the pearl draping along the shoulders that add a touch of elegance that every bride needs. See the perfect accessories to complete this look below! 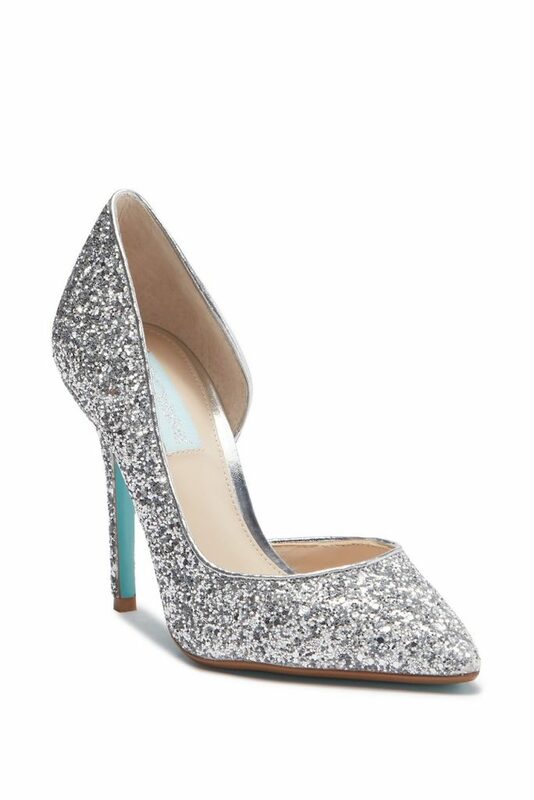 The beautiful glittered detailed; Sally Pumps by Betsey Johnson are the perfect shoes to compliment the Diva Gown. Like the gown itself, these stiletto pointed toe pumps will glisten through the night! The sally pumps are specifically from their blue line that caters to brides like you. 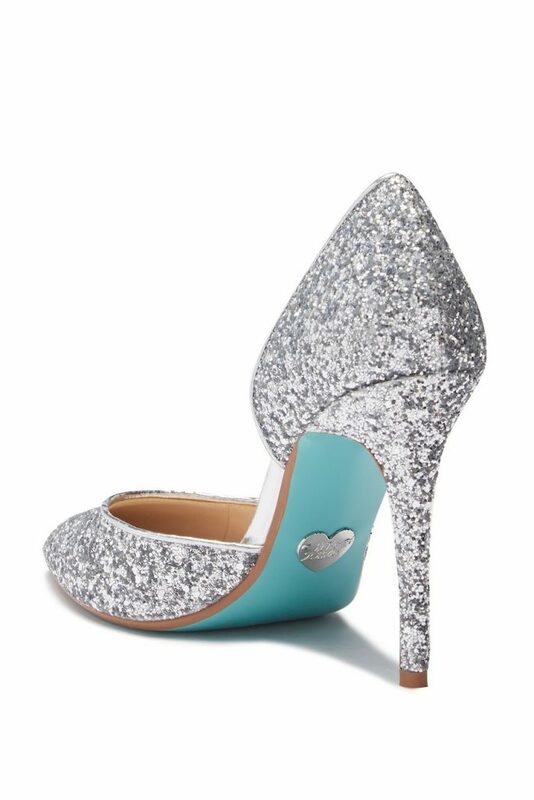 Betsey adds a blue lining under every shoe from this line so every bride has her something blue while walking down the aisle. And lastly the accessories! Just because your not the Duchesses of Cambridge herself, doesn’t mean you can’t feel like her, right? This Grecian inspired halo/ vine ornate is made with hand wired marquise crystals and fresh water pearls. 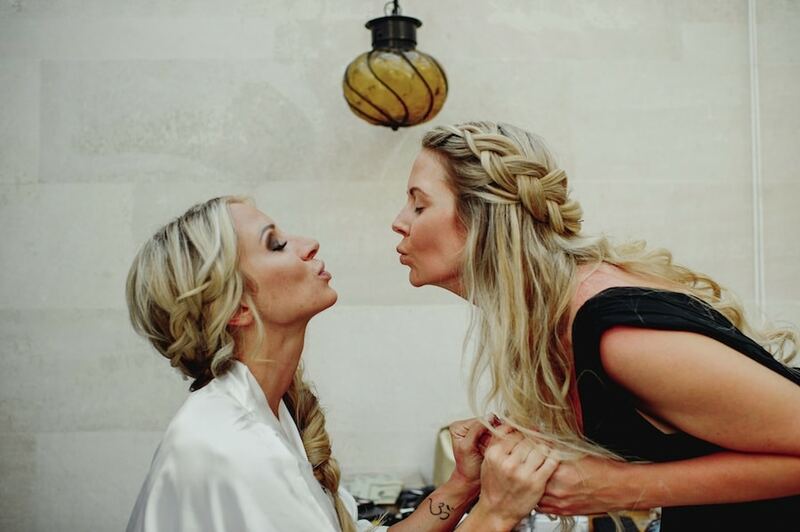 It includes two combs on both sides to create a versatile look to match any hairstyle for your big day. 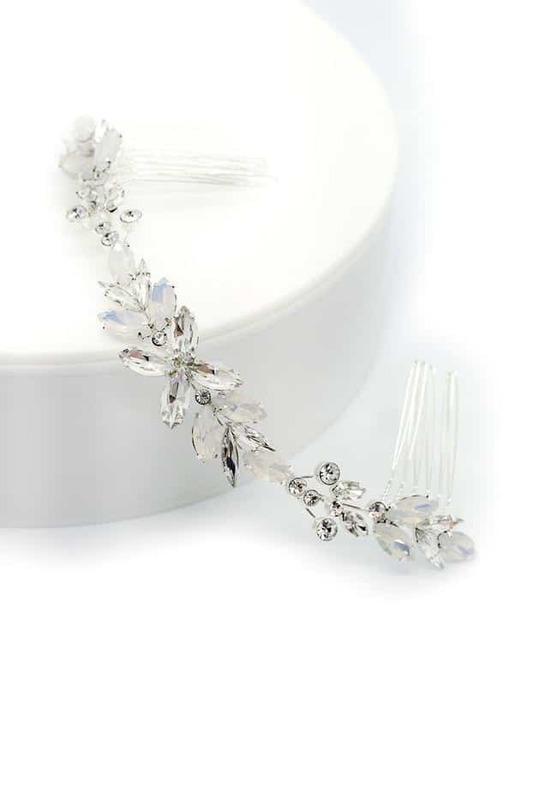 The Monroe Halo Comb by Brides & Hairpins come in three different shades, however you can never go wrong with silver. Attention all Naama and Anat Brides, view all our upcoming Trunk Shows! 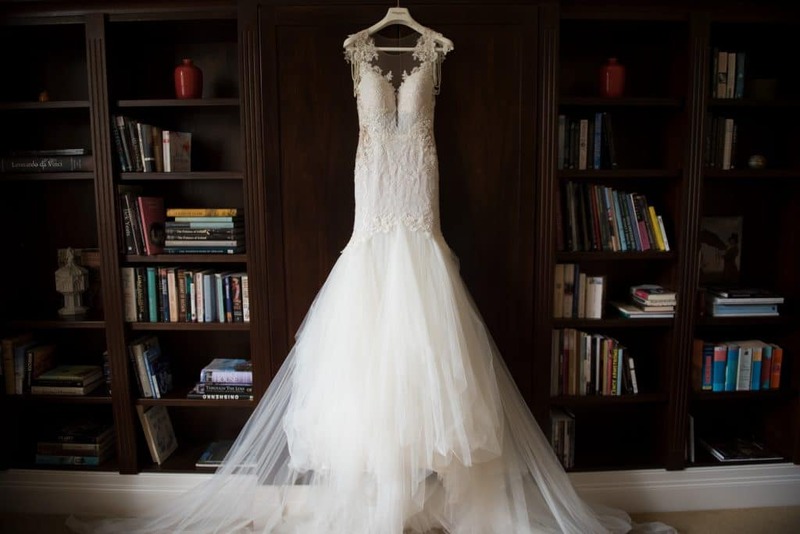 Choosing the perfect gown is the most important and exciting aspect of your wedding day. 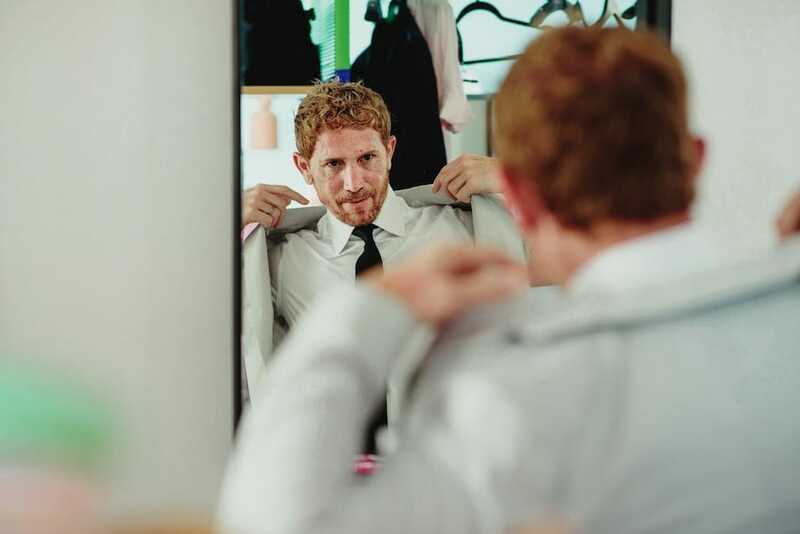 Attending a trunk show can relieve some of that stress and open up your options. A Trunk Show is an event held at a bridal salon to showcase a designer’s entire collection! 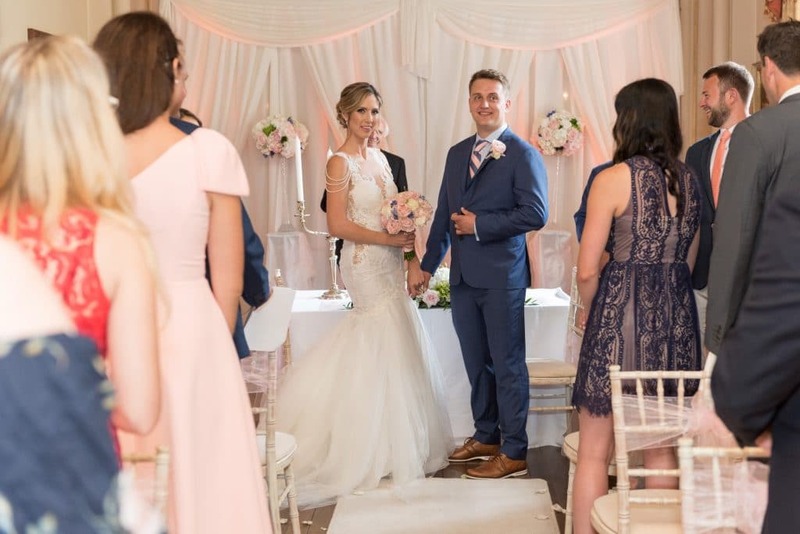 You will have the opportunity to book a personal consultation to try on as many gowns as you would like from the designers entire collection for a limited time only. Below you will find our current list of Trunk Show events, RSVP today to book your appointment! We strive to produce as many Trunk Show events as we can to give all our brides an opportunity to attend. To keep updated on all Trunk Show news or upcoming shows visit our Trunk Show Tab on our website. 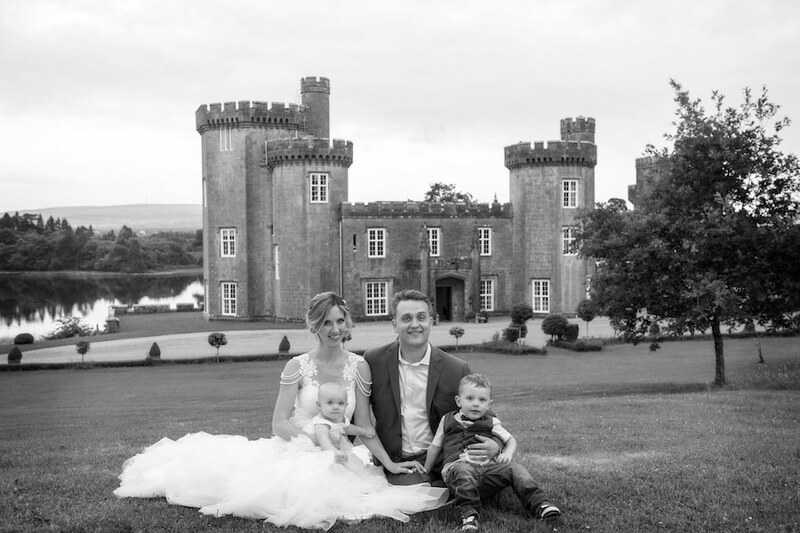 Maggie and Sergry tied the knot at Lough Cutra Castle in Ireland. 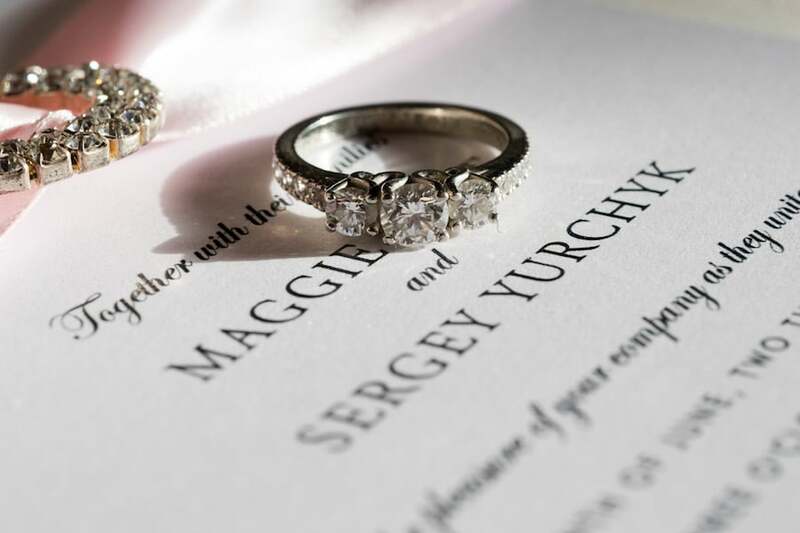 “The Love Story of Maggie and Sergry is as unique as it is destined to happen.” What started out as a home improvement project turned out to be the beginning of their forever. 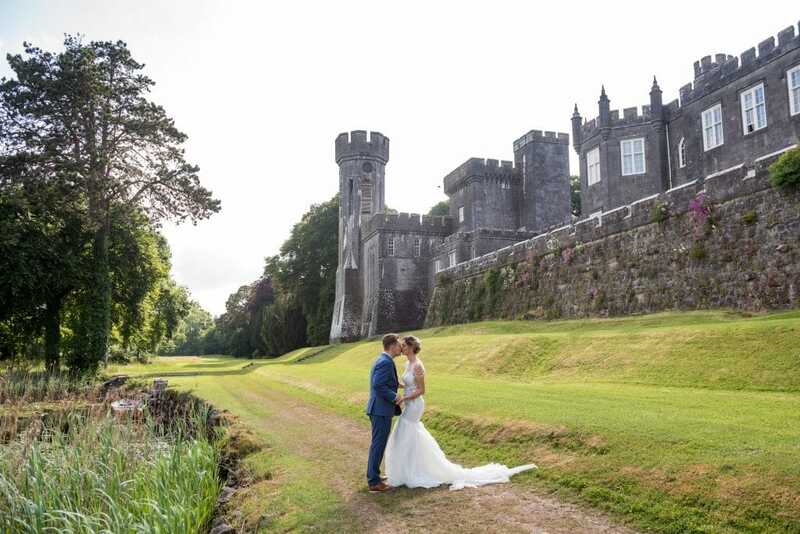 To fulfill Maggie’s fairytale dream wedding, it of course included a castle for the venue. 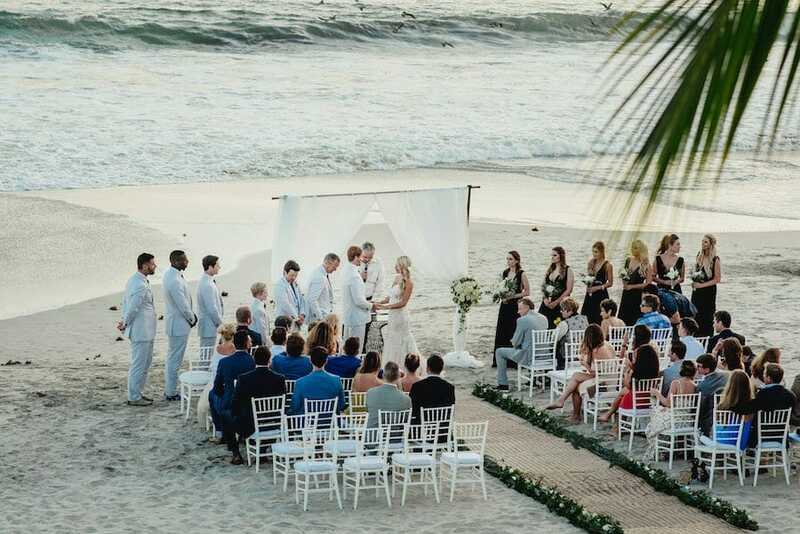 The wedding itself took 1.5 years to plan. 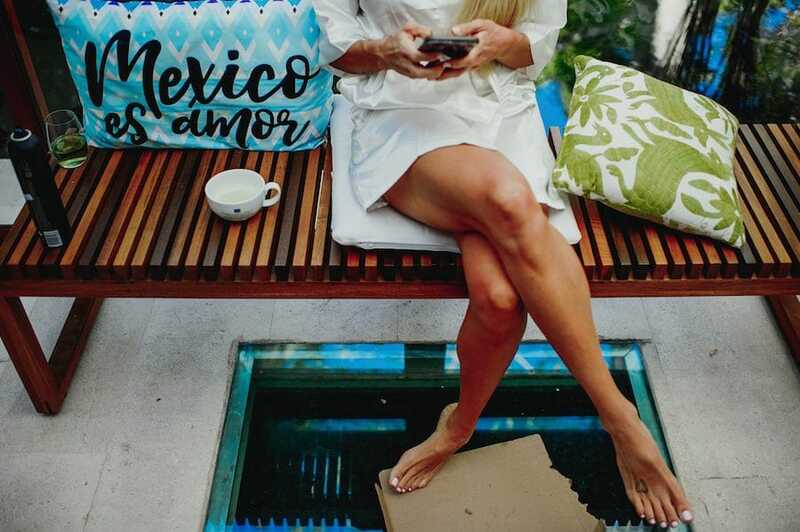 The challenge was to plan a wedding from thousands of miles away, without having the opportunity to visit the venue before hand. 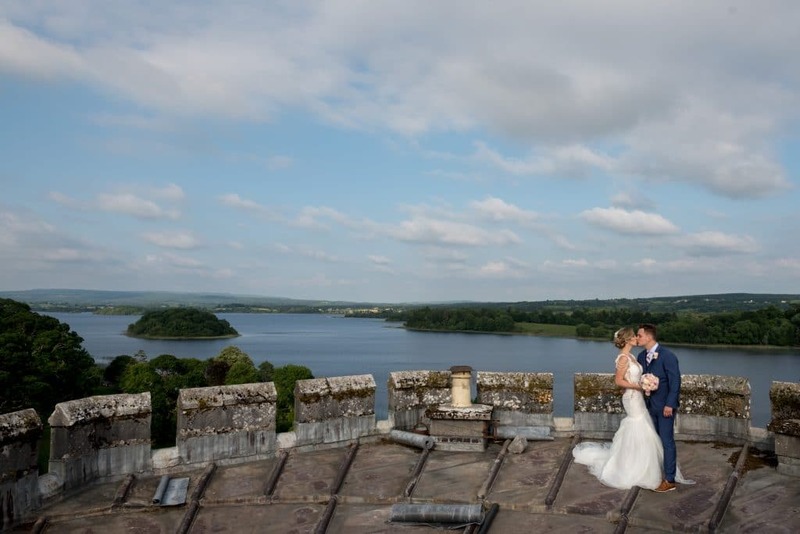 Lough Cutra Castle was the center of the design, creating a modern and elegant feel yet staying true to the history of the majestic and historic setting. 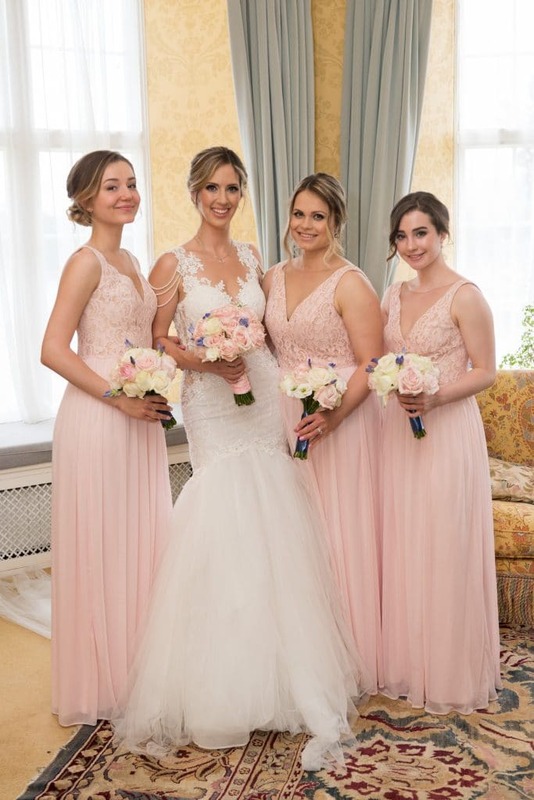 To complete the fairytale princess look Maggie chose to wear our Diva Gown selected at Ethos Bridal in Canada. 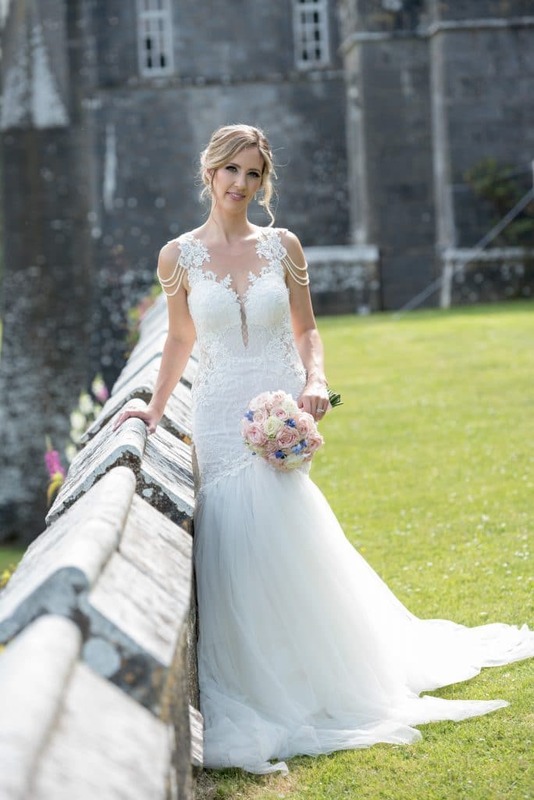 The trumpet style Diva gown was the perfect pair for her castle wedding with a full-embroidered beaded lace bodice and a dramatic voluminous tulle train. The pearl draping along the shoulders added the touch of elegance that every princess needs. 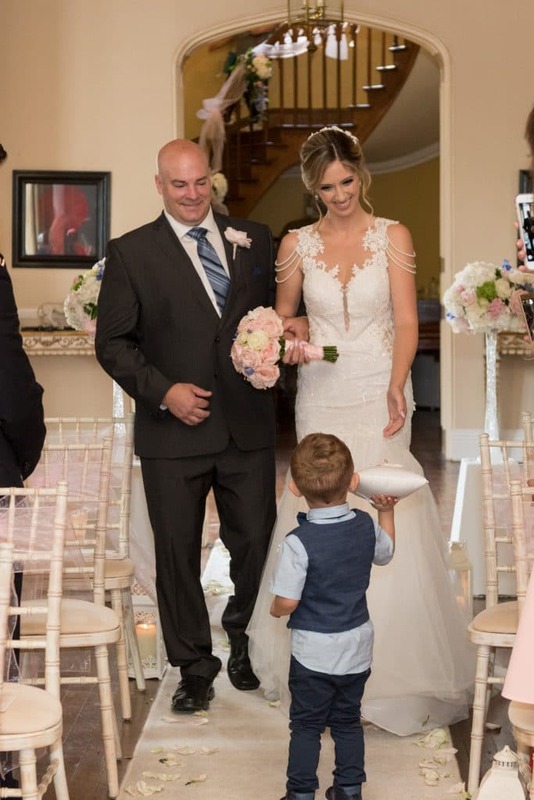 Maggie began her entrance down an elegant staircase lined with pink tulle and that lightly cascaded blush and white flowers with additional pops of green and blue designed by Brides and Blooms. She continued to proceed down a white carpet lined with flowers and lanterns to reach her soon-to-be-husband. 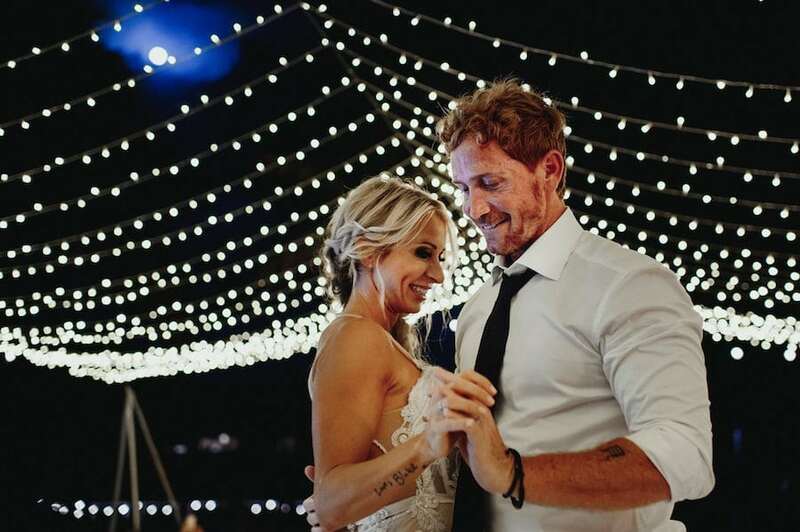 Fairytale lights; designed by We’ve Got It Covered, framed the celebrant table that provided a beautiful whimsical backdrop to say their I do’s. 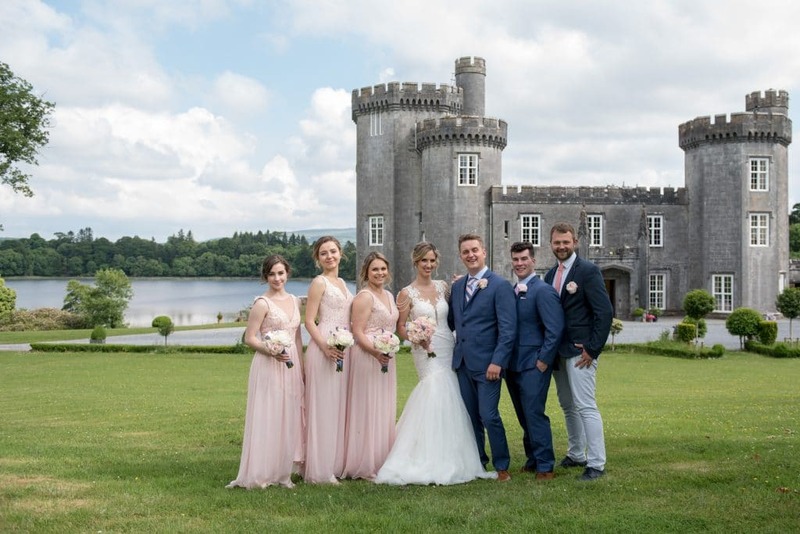 Beautiful music filled the room as harpist, Una Ni Fhlannagain set the tone while amber and pink uplighting radiated the venue to soften the look that contrasted the ivory castle walls. 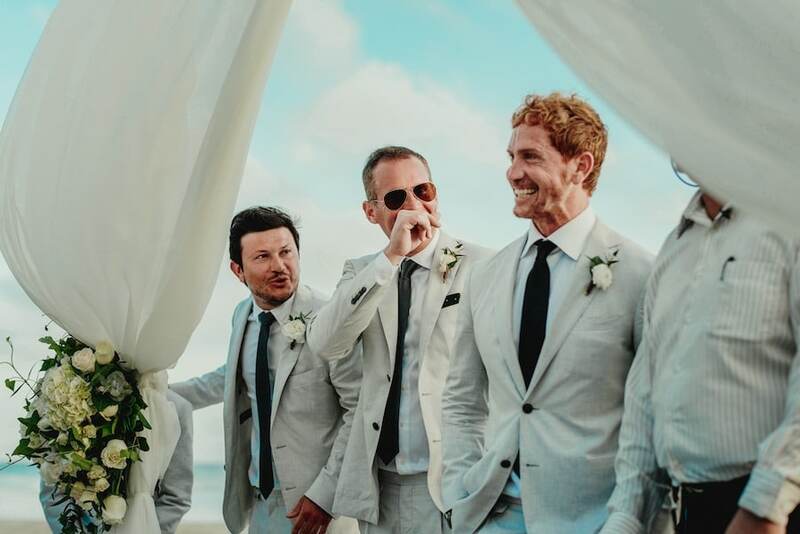 Guest watched in awe in antiqued white chairs that were draped with transparent pink sashes for a hint of color as the couple pledged their love. 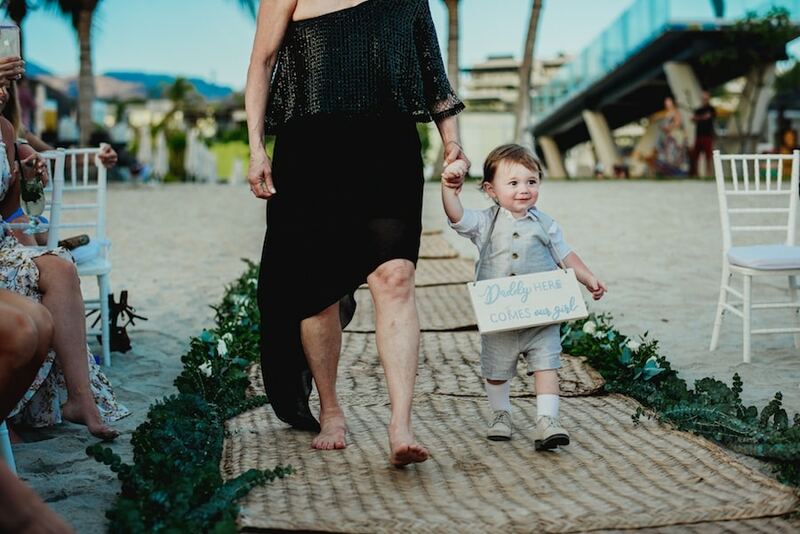 Though it was difficult to plan a wedding from a different continent, the easiest/ priceless decision was to have their son walk down the aisle as ring bearer and their daughter who was only 10 months at the time walk down as the most precious flower girl. Following the beautiful ceremony, guest were indulged by a delicious meal catered by Green Olive Catering. The reception also included an elegant fun dance hall within the castle; hosted by Midland DJ, to keep the celebration going. 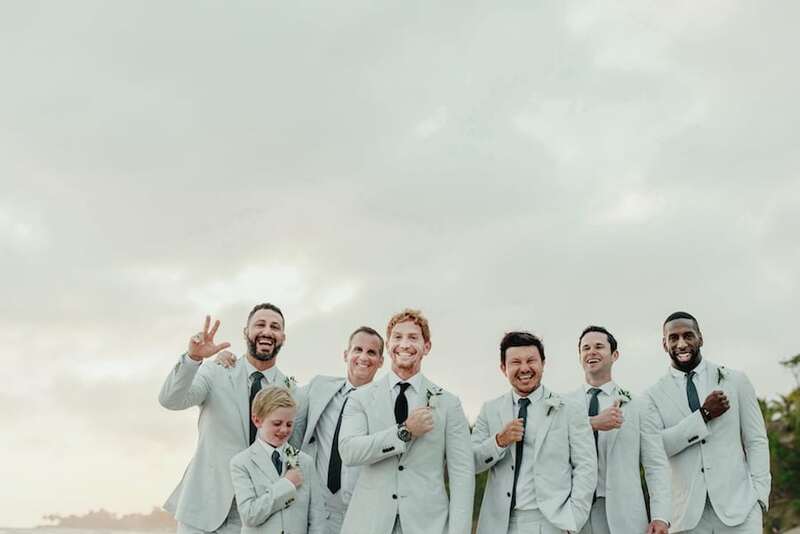 Maggie enjoyed every minute of her wedding and planning process and is grateful for her photographer, Melissa Mannion to have captured these wonderful moments to keep the memories alive forever!